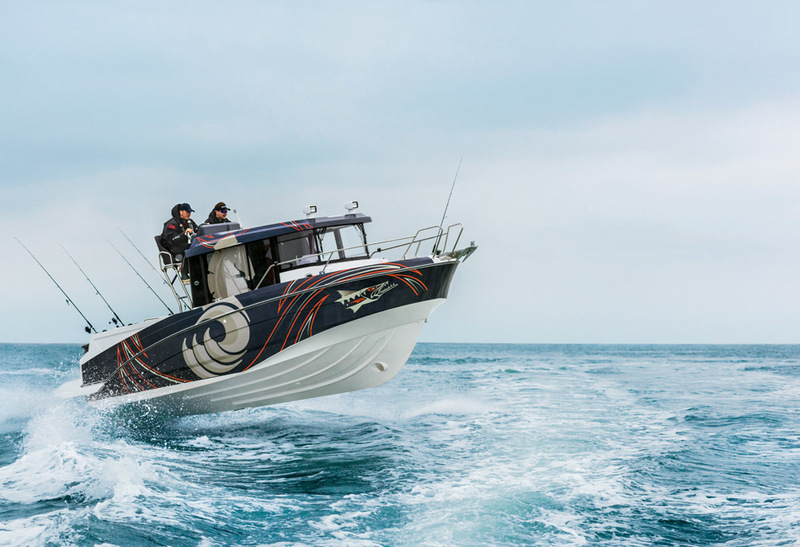 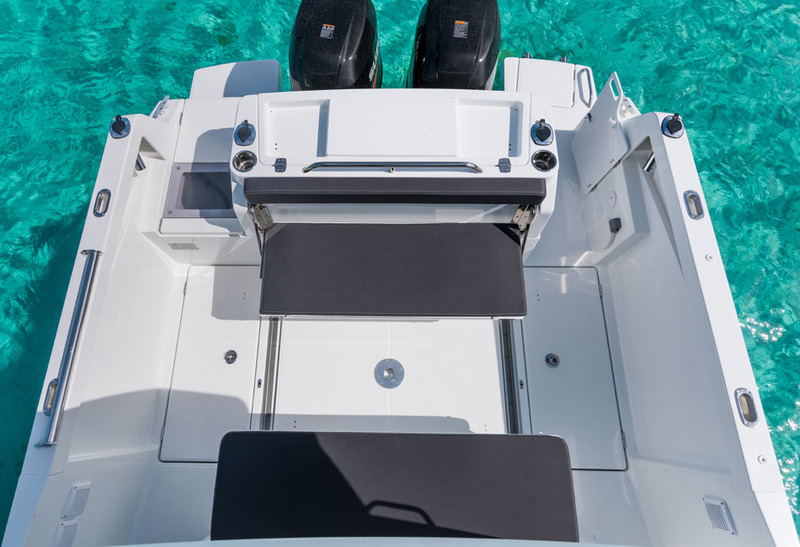 The Barracuda 8 is undoubtedly a seaworthy fishing boat, built with the latest generation of Airstep ® hull. 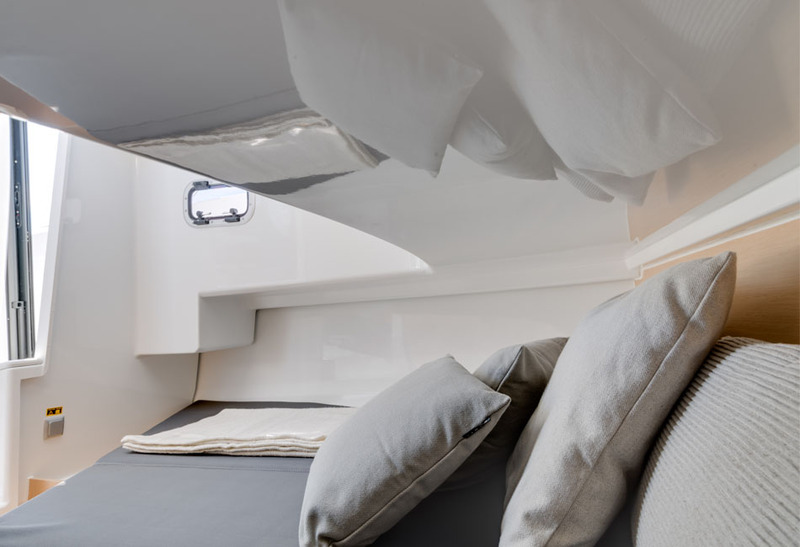 She is welcoming while providing protection, true to her adventurous nature that will satisfy the needs of even the most discerning owner. 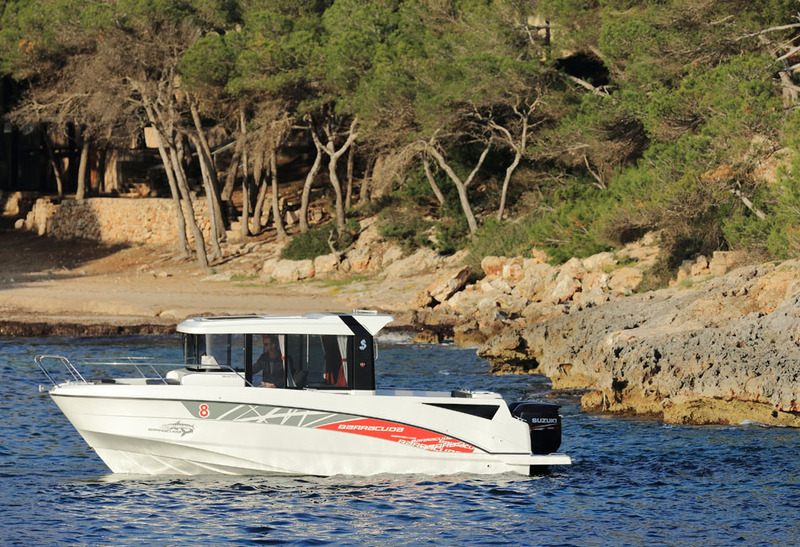 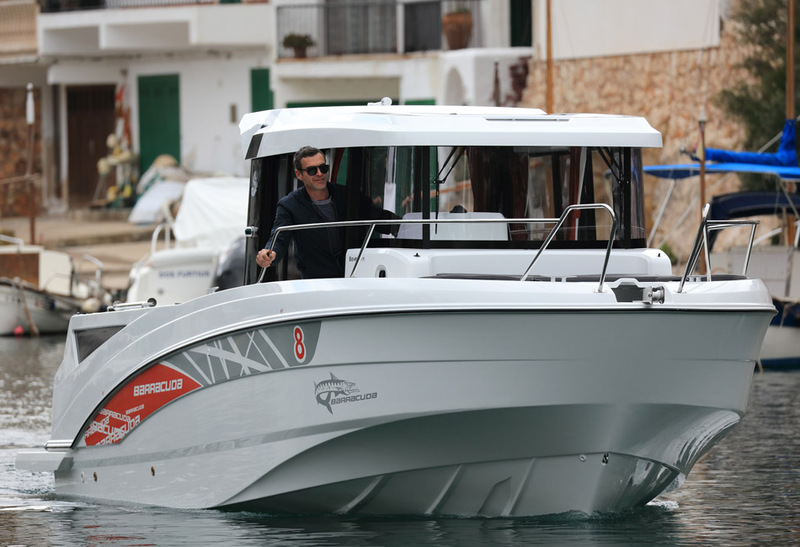 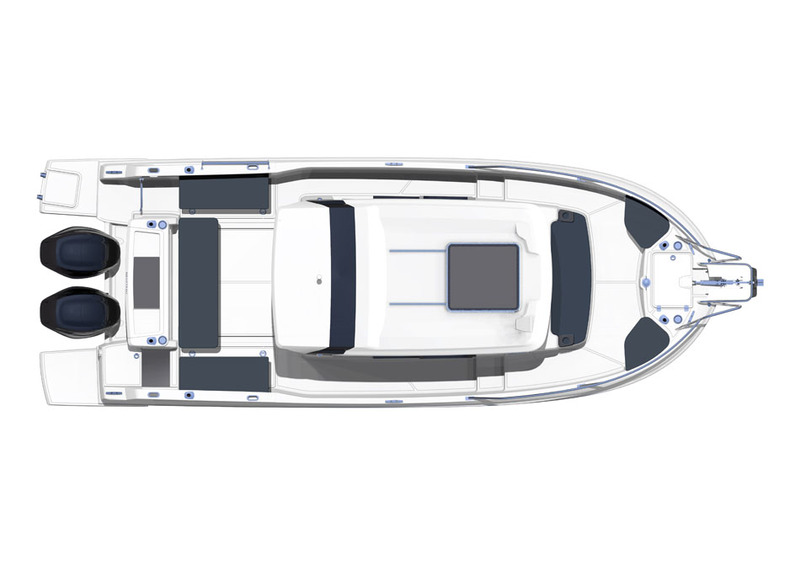 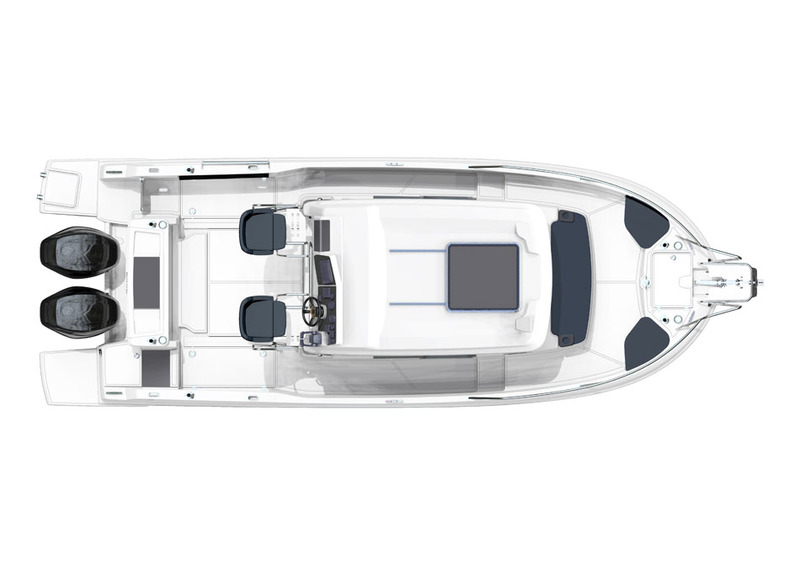 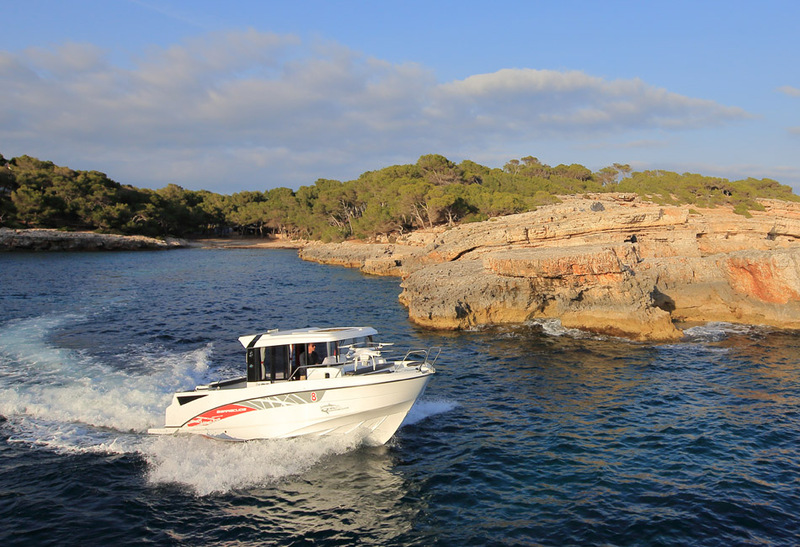 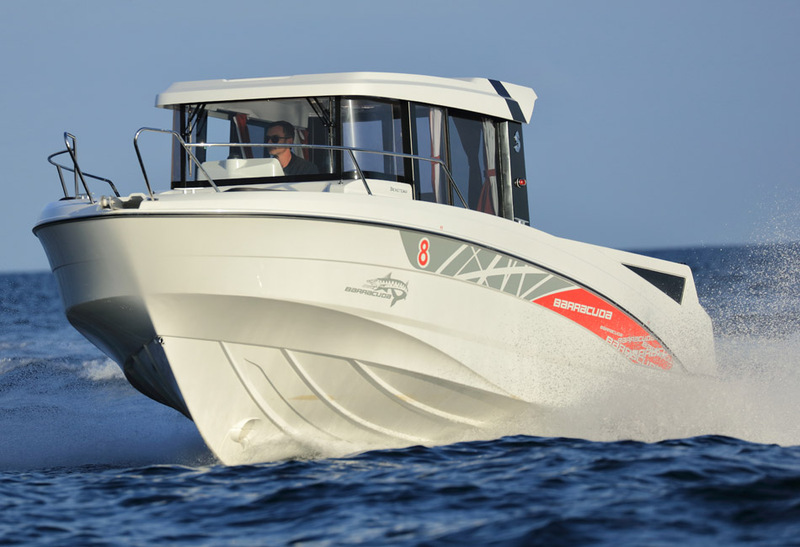 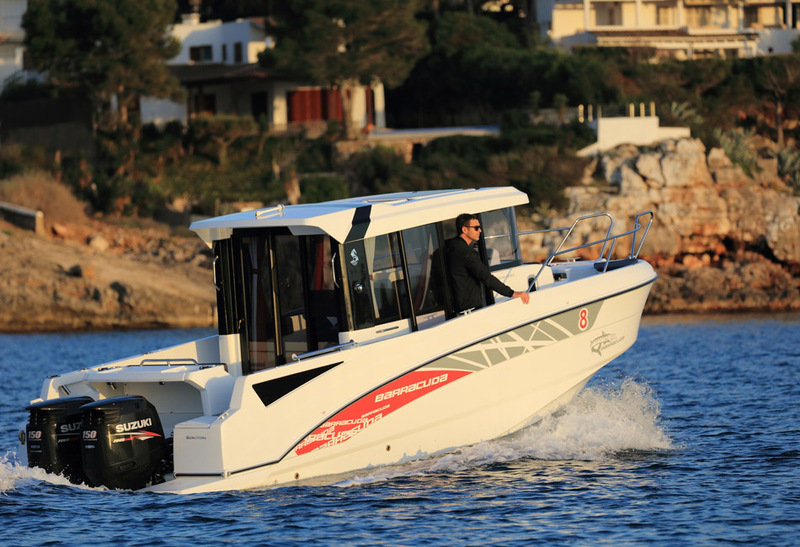 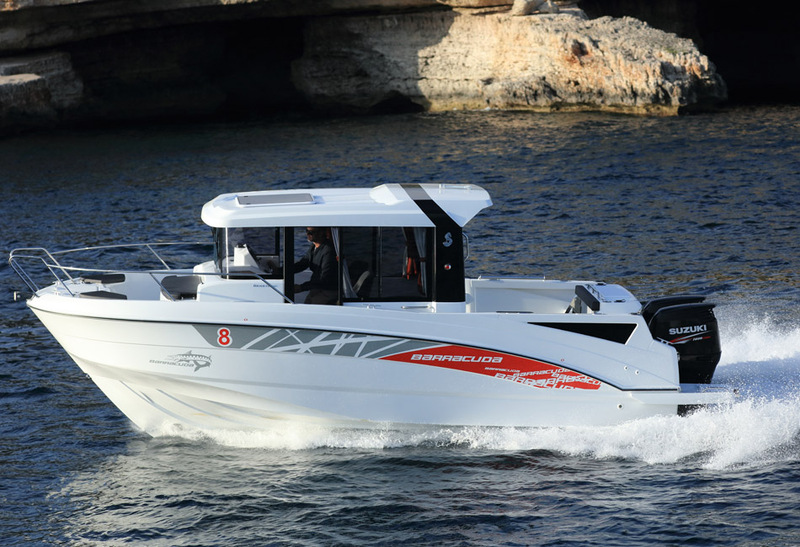 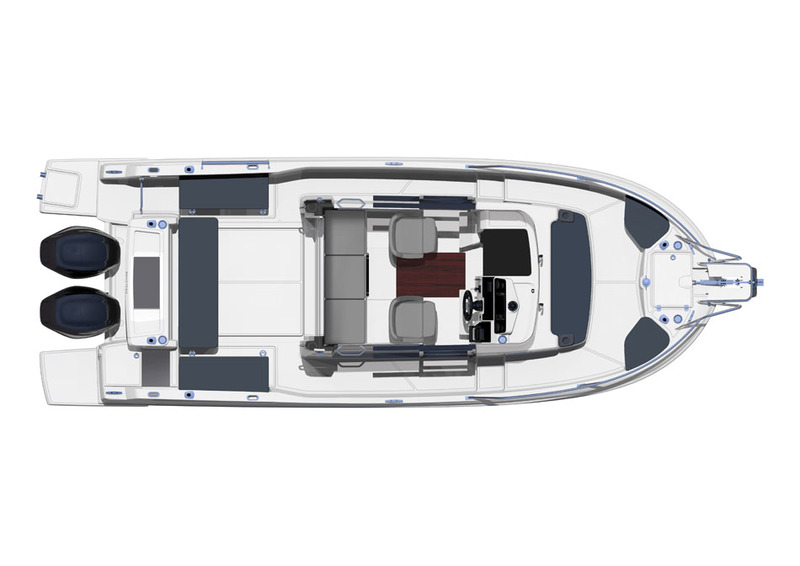 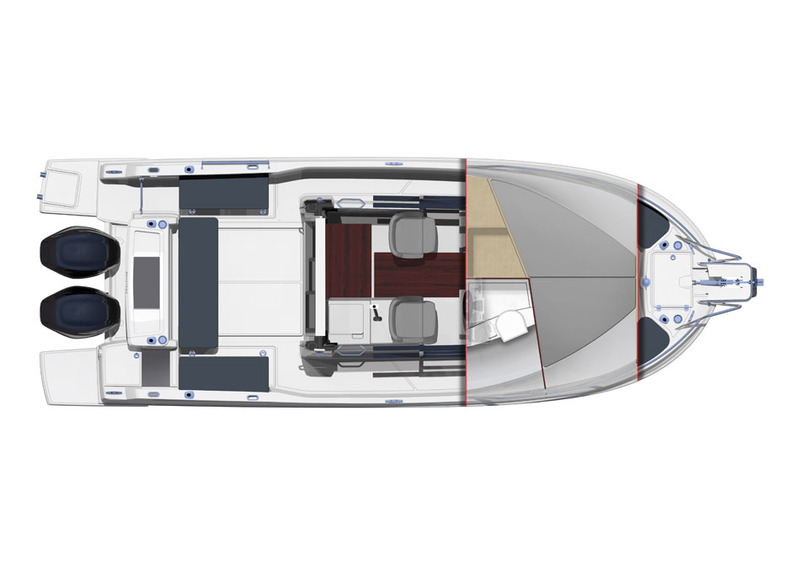 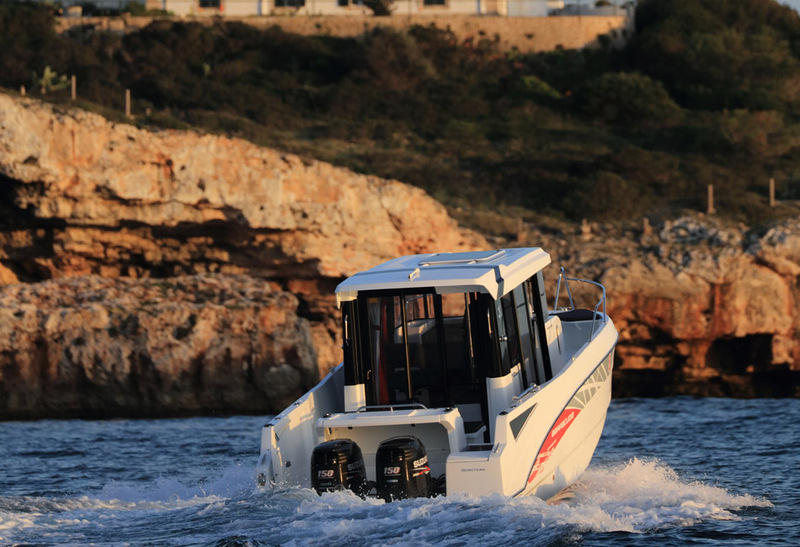 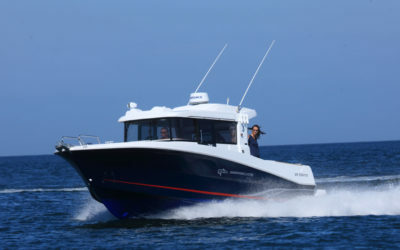 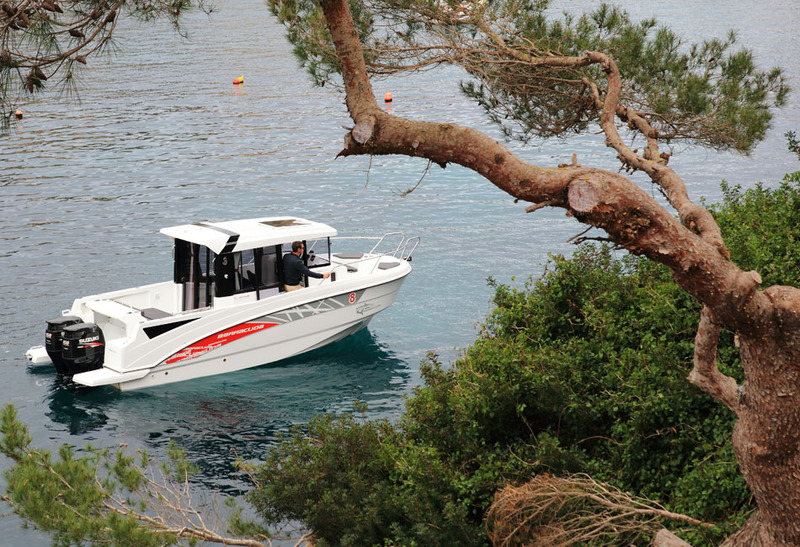 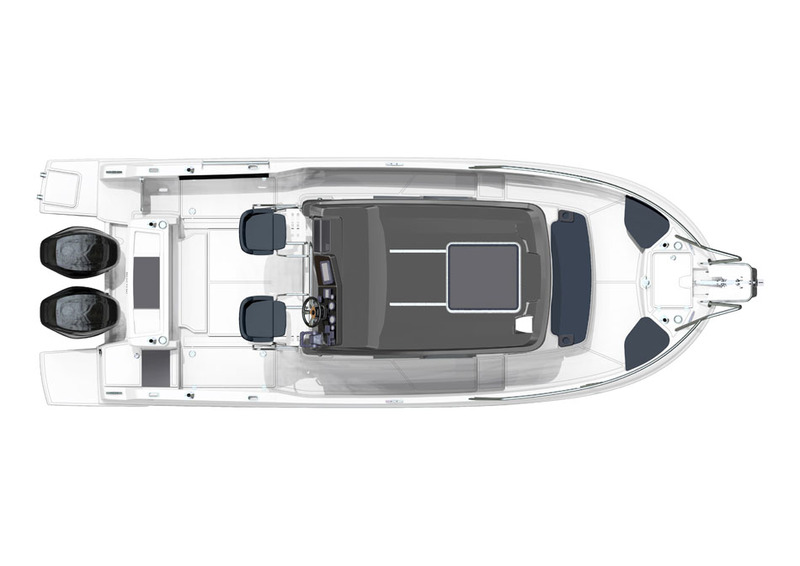 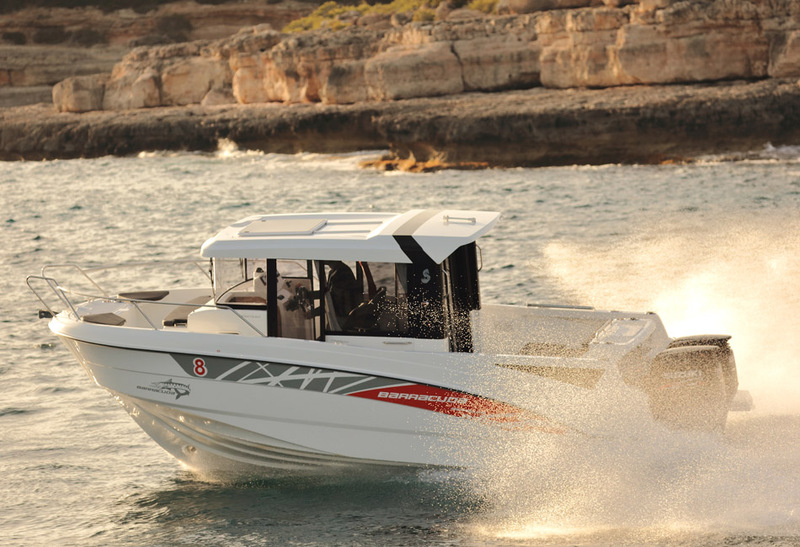 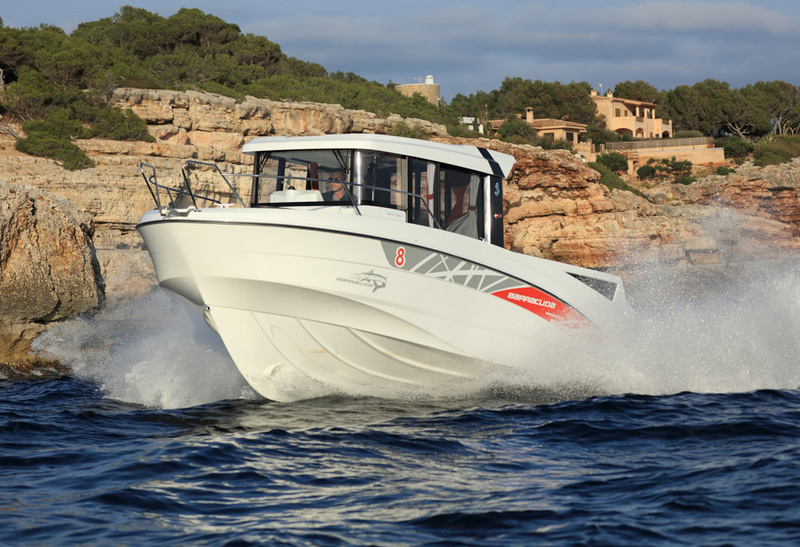 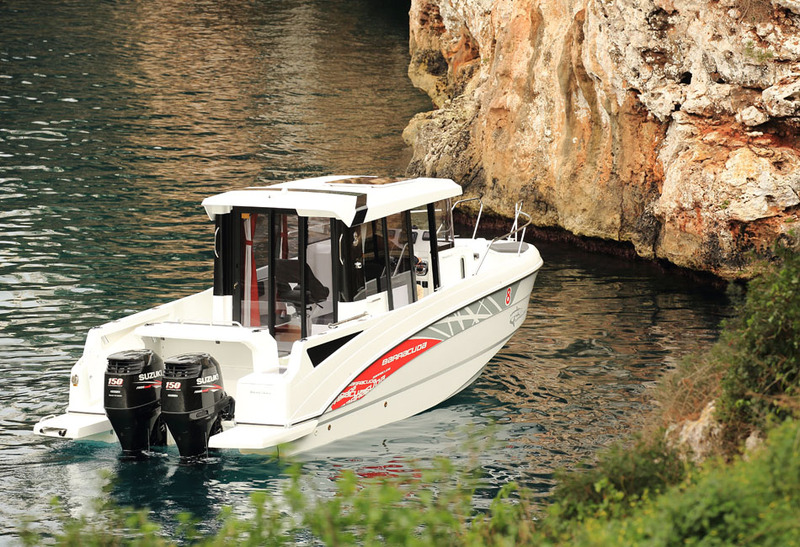 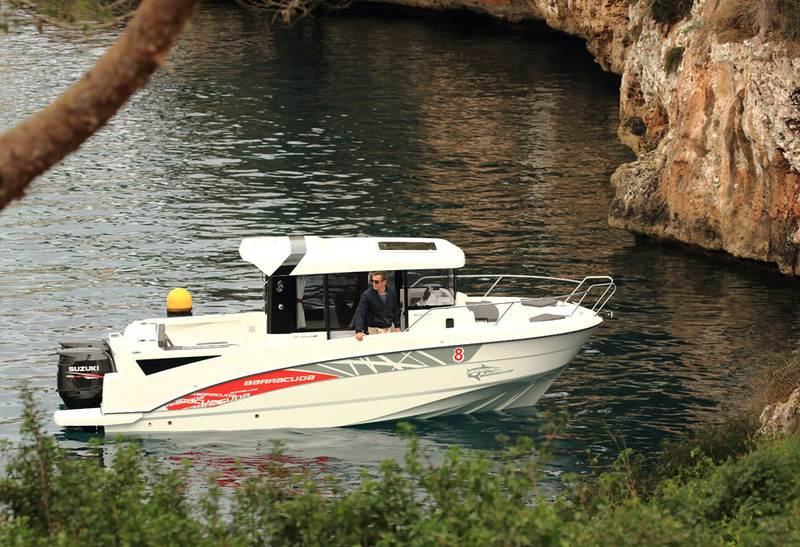 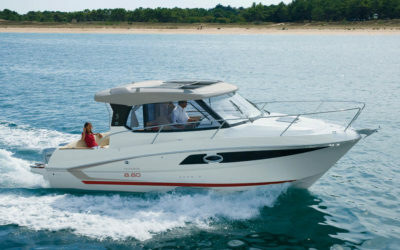 Her sturdy profile and elegant lines make the Barracuda 8 the ideal fisherman’s boat. 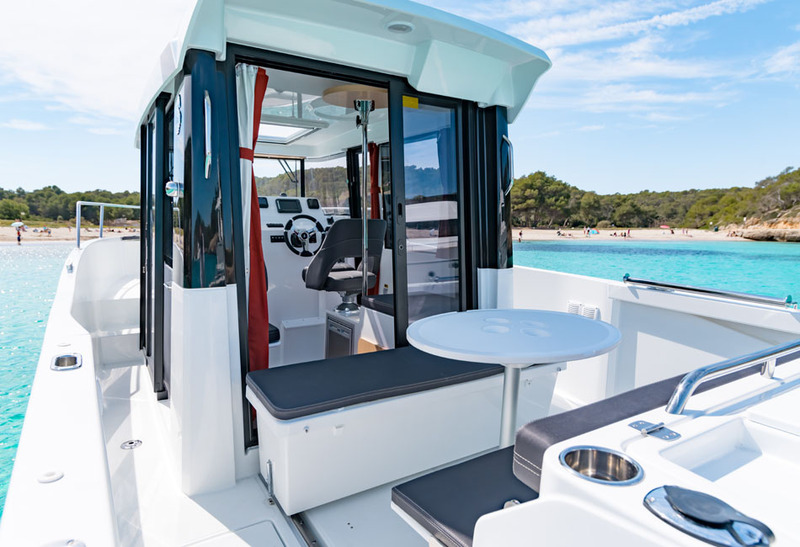 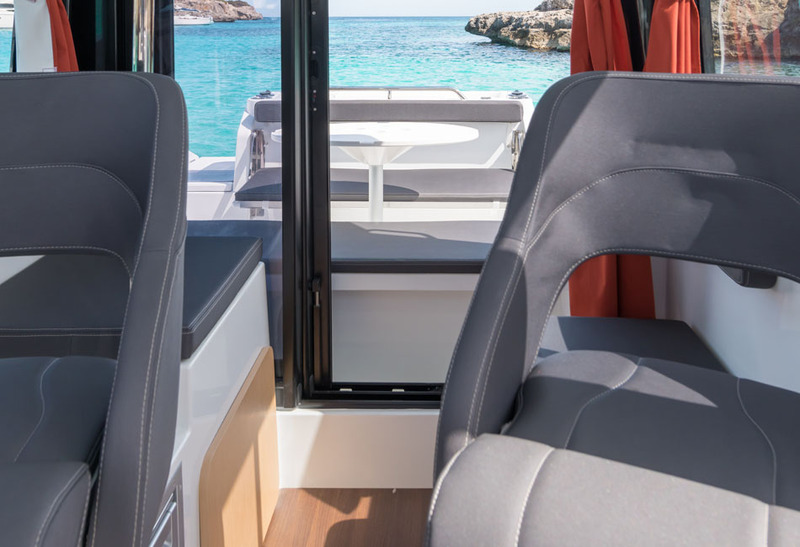 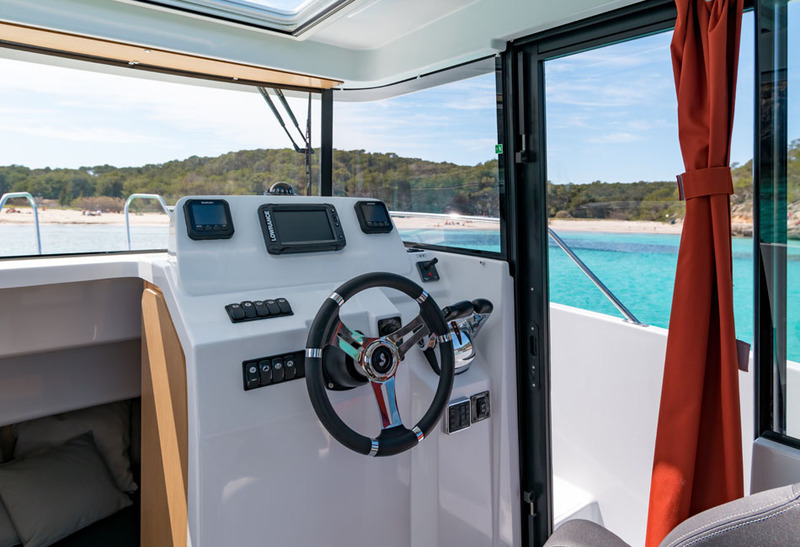 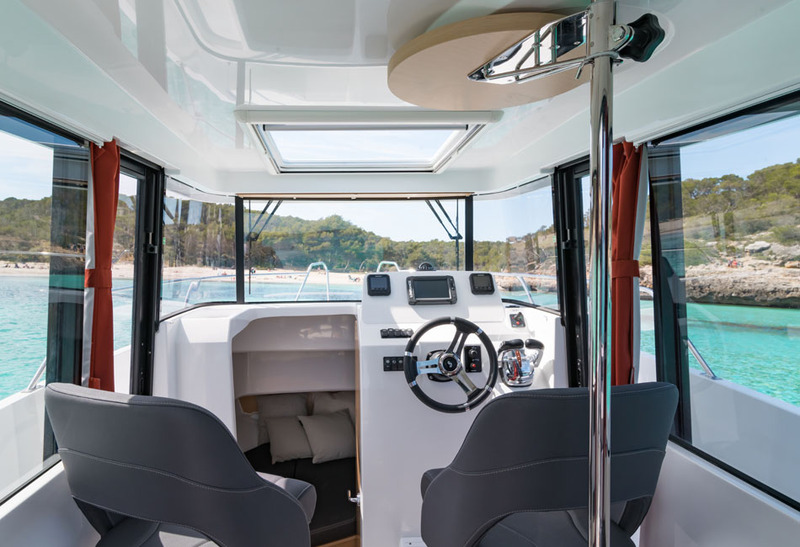 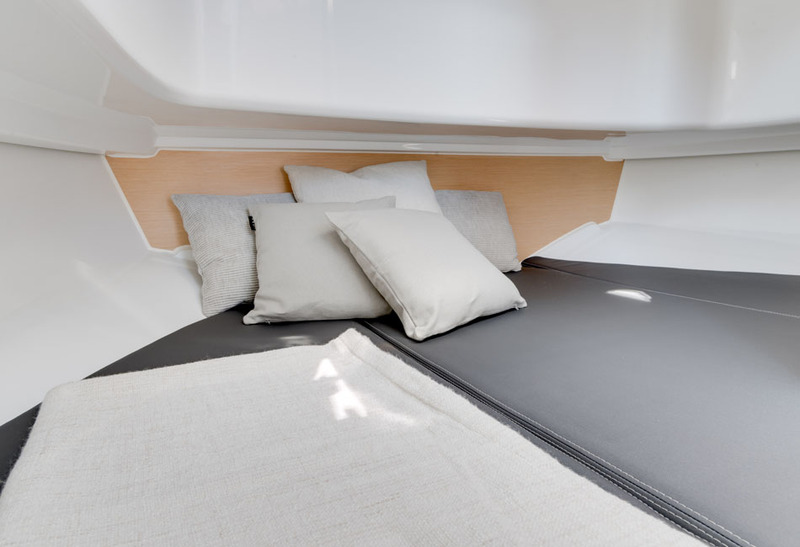 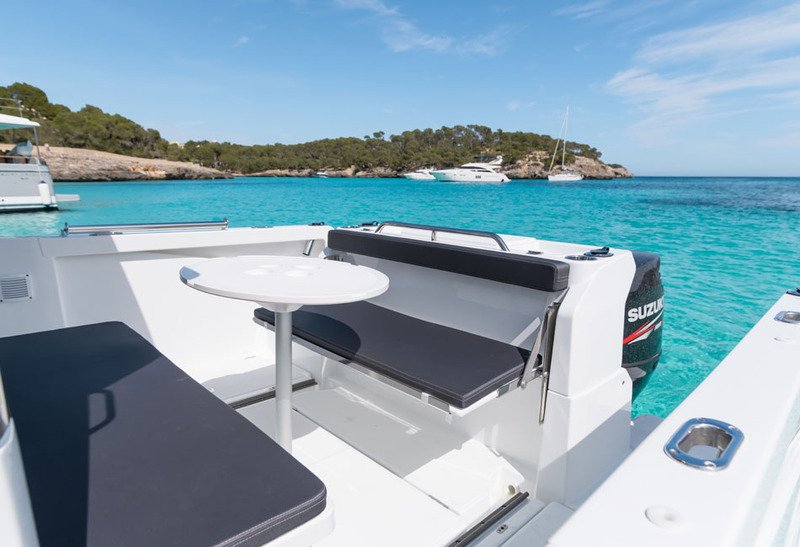 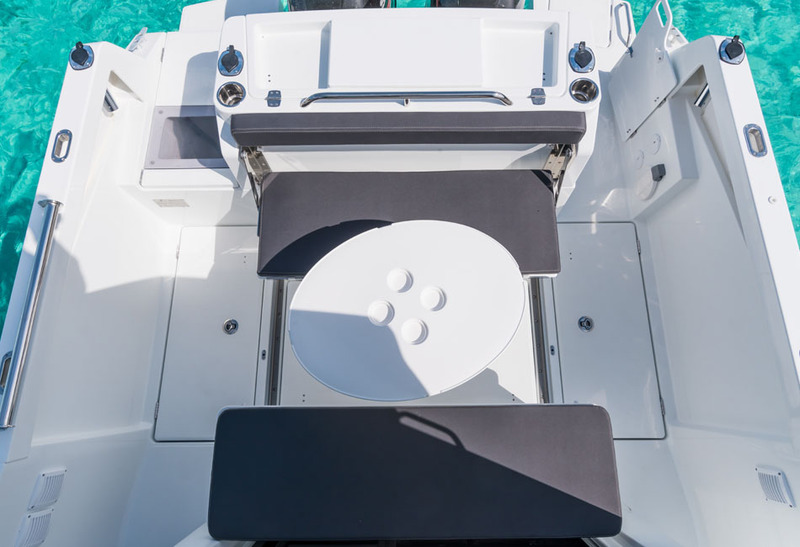 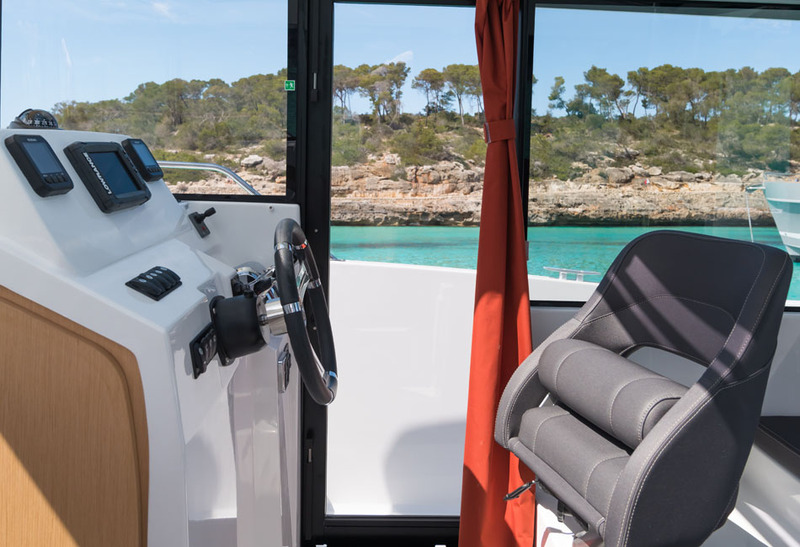 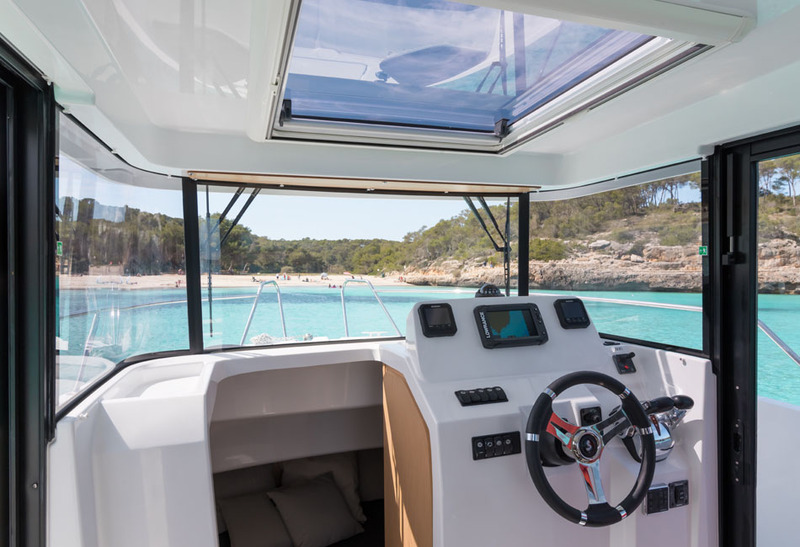 The cockpit is easily-accessible and the large starboard walkway is built for optimum and safe mobility on board. 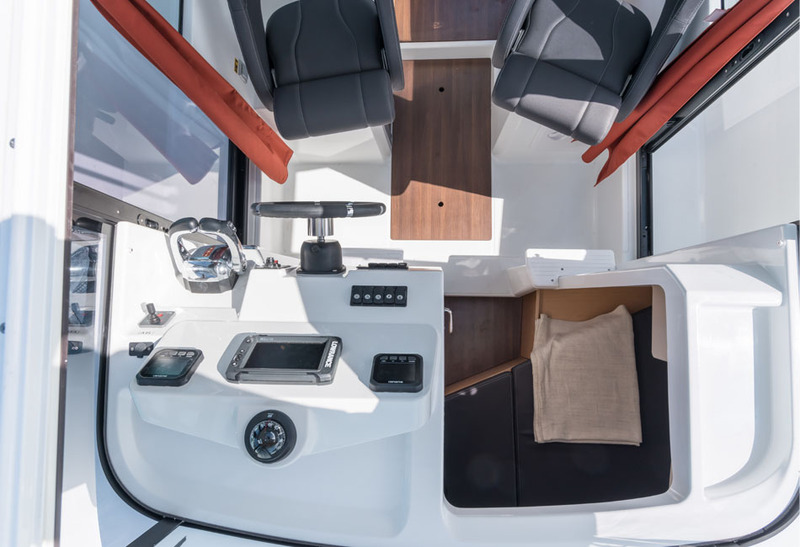 Scandinavian-inspired interiors are reflected in her red brick curtains, graphite upholstery, light-colored oak woodwork and stunning teak deck. 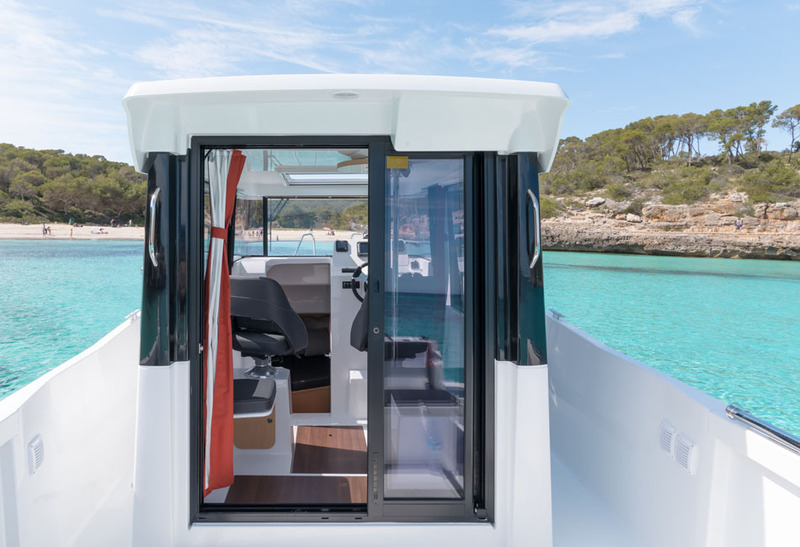 It’s available in a three door version with an aft sliding door.